This ultra-low-production 6-litre, V12 supersaloon is being produced in strictly limited numbers, but instead of being Middle East-only as originally stated, Aston has stated it'll be selling it worldwide. If you're in the market for this sort of car, you've probably already spoken to Aston Martin and placed your order. 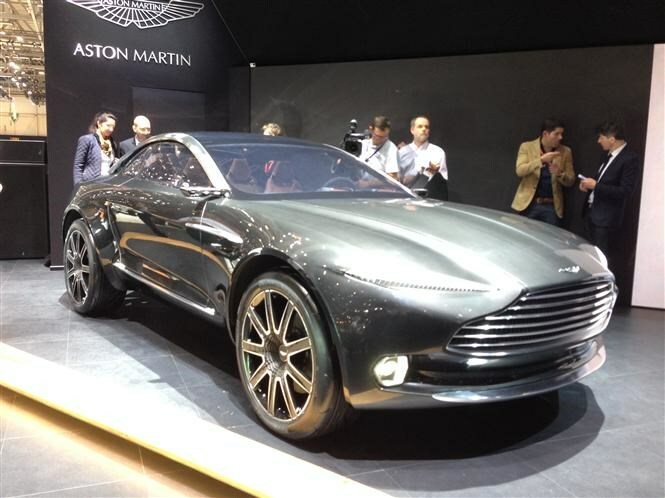 Aston's long-awaited toe-dip into the world of the premium crossover comes as no surprise to us. 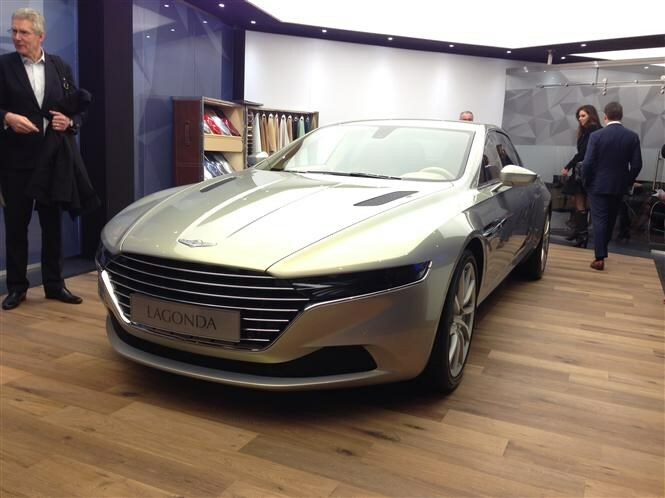 Bentley and Rolls-Royce are known to be exploring the subject, so it stands to reason Aston will follow suit. We suspect it's going to be very popular and very nice, both to drive and to be in. But is it a step too far towards the mainstream? Sitting somewhere above the V12 Vantage S and below a full-blown racing car, Aston Martin say the Vantage GT3 is a performance special you can use every day. It looks like a track-day car that you can legally drive to the circuit, and only 100 are being made. All feature motorsport-derived chassis, aerodynamics and handling. The 6.0-litre V12 engine puts out up to 600bhp and the car weighs 100kg less than a standard V12 Vantage S.
It’s also lower and wider and has sticky Michelin Pilot Super Sport tyres to help you keep all that power on the road (or track). You get lots of carbon fibre inside and out including the front wings and bonnet, and an aerodynamics package that includes a huge rear wing and front splitter. 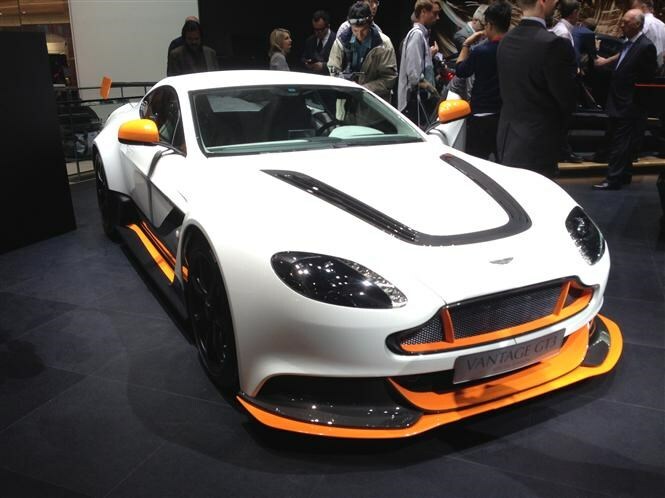 Aston Martin says this will produce significant downforce to help keep you pointing in the right direction. A lithium ion battery saves even more weight, as do optional carbon fibre roof and polycarbonate windows. Deliveries will begin in the second half of 2015. Whether it’s a race car for the road, or a road car for the track, is up to you. Either way though, you have to admit it’s an exciting prospect. Also debuting at Geneva is the V12 Vulcan, but this car leaves you with no doubt where it belongs – it’s strictly track-use only. It has a carbon fibre body and develops more than 800bhp, so unsurprisingly Aston Martin is happy to provide expert tuition and technical support to those lucky enough to own one of the 24 being made. Before you drive it, Aston Martin will offer you some extensive track training, in a range of cars including the V12 Vantage S, One-77 and Vantage GT4 race car. 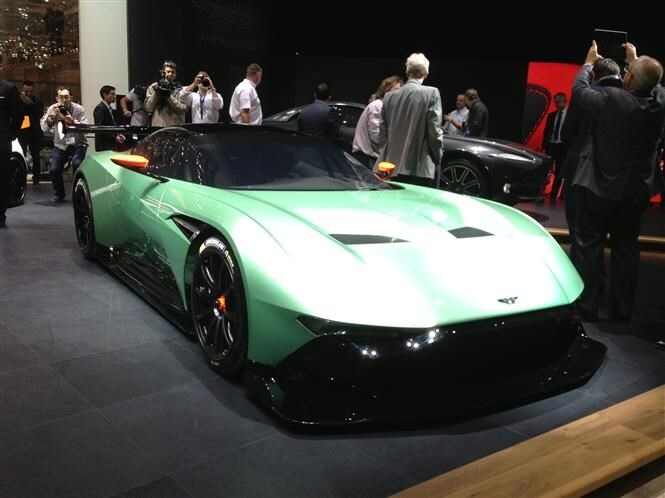 The naturally-aspirated, 7.0-litre V12 engine was developed alongside Aston Martin Racing, and boasts a power to weigh ratio in excess of actual GTE class racing cars. Other track-spec kit includes a carbon fibre monocoque, lightweight torque tube and propeller shaft, and Brembo racing calipers. The wheels are driven by a six-speed sequential gearbox. Performance data and technical details will be released later this year, but you can see the Vulcan for the first time at the Geneva International Motor Show. Oh yes, even though you can’t use it to go to the shops.